One strength of the new study is its large numbers, said Mia Gaudet, director of genetic epidemiology at the American Cancer Society. The breast cancer subtypes linked with fat intake are common, she said. “The majority of breast cancers in the U.S. and Europe are ER-positive, PR-positive, HER2-negative,” she noted. Lead author Sabina Sieri, PhD: It’s possible that the high-fat intake raises the levels of the body’s own estrogen, which can stimulate the growth of breast cancer cells. 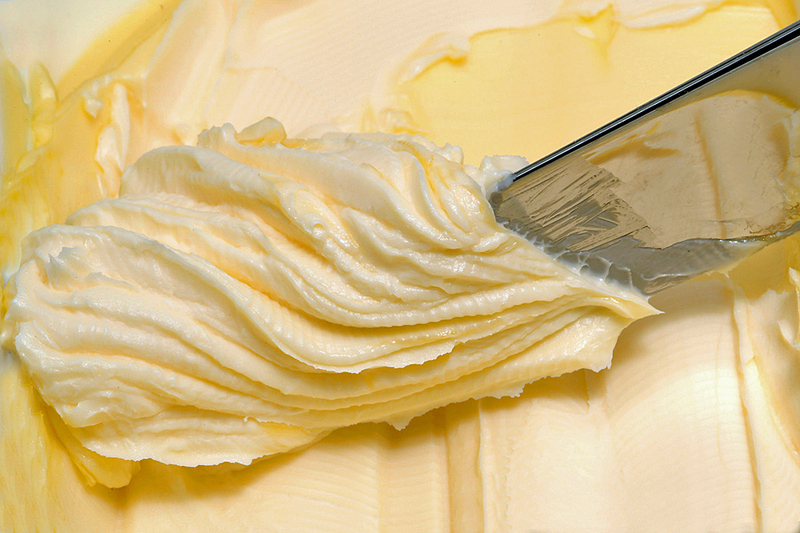 So, dietary fat increases the risk for breast cancer. Yet Time Magazine’s Brian Walsh urges us to “Eat Butter” (7 grams of saturated fat in just 1 tablespoon) and New York Times’ Mark Bittman informs us that “Butter Is Back.” (“Butter is back, and when you’re looking for a few chunks of pork for a stew, you can resume searching for the best pieces — the ones with the most fat.”) Dietary fat has also been shown to increase the risk for prostate cancer. And we know it’s implicated in the development of insulin resistance and diabetes. There must be some other motive working to push fat besides public health. This entry was posted in Breast Cancer, Cancer, High-Fat Diet, Plant-Based Diets, Prostate Cancer, Saturated Fat, Uncategorized on October 30, 2014 by Bix.